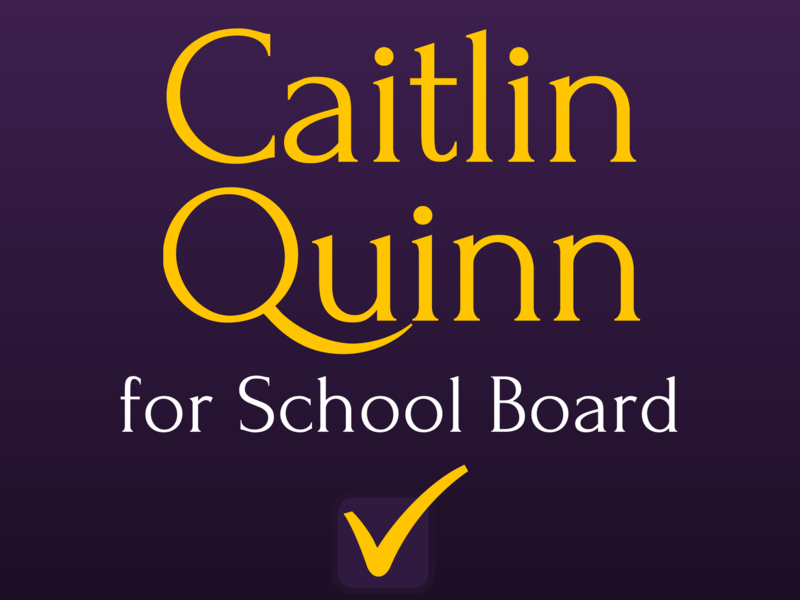 A young progressive voice for students, staff, and families. School safety is important. To me, the term “safety” includes the idea of active shooters on campus, sexual violence on- and off-campus, bullying and harassment on- and off-campus, and students’ feeling of mental, emotional, spiritual, and physical safety on campus. Mental safety is ensuring all students have access to mental health resources and are not being overly taxed by schoolwork. We do not need students driving themselves to a breaking point just to get their GPA’s up. Emotional safety is the idea of being able to express all emotions in the classroom and on the campus while also being safe from bullying and harassment. Students are humans. Humans are allowed to have bad days; humans are allowed to be sad or be cranky. Just like we know that kids can’t concentrate when they are starving or when they are experiencing violence at home, kids can’t concentrate on learning with their guard up — that’s when all energy is just in fight or flight mode. Treating harassment and bullying as a problem that directly impacts students’ performance and ability to learn is critical. Spiritual safety is the idea of being able to express your religion, or lack thereof, without hindrance. Students should be able to wear cross necklaces, stars of David, hijabs, turbans, and anything else that is important to their religion and/or culture. It is also the ability to practice your religion without hindrance. Different religions have different dietary restrictions, different prayer schedules, and different wardrobe requirements, and school policy should reflect and respect the diversity that makes us great. School Resource Officers should embody what their titles imply, not simply be a “cop on campus.” SRO’s need to work with students on safety, not simply be an intimidating and scary force on campus. SRO’s and staff need to understand why Black, Latinx, and Native students may be wary of SRO’s; the district should allocate funding for cultural competency training for any officers that will regularly be on Petaluma City Schools campuses. When applicable, I believe restorative justice can be used after some harassment and bullying. While it is not always the best fit, I believe it should be incorporated into our disciplinary policies. The kids who are doing the harassing and bullying often have their own issues that need to be addressed; the kids who are bullied are not likely to reach out for help. Middle school and the early years of high school seem like the hardest times, from anecdotal stories I have gathered. Students and families need to know that ICE is not allowed or welcome on campus. Staff and teachers should know where to direct ICE if they do come to the campus without permission, and district staff should do everything possible to keep our undocumented kids and families safe. Any SRO’s on campus should know that there will be a community response and disciplinary consequences if they cooperate with ICE. Some kids choose to be tardy or absent. But the kids who have difficult life circumstances are not often late or absent due to their own actions. Students’ whole lives need to be considered in policy-making from the beginning, not as an afterthought. Students living in more rural parts of the area cannot simply take the bus to campuses or try to carpool with their peers. We need to engage guardians and parents as much as possible, including being available to meet at nontraditional times. The School Board could be encouraging local businesses to hire our students. Students who want to work should be able to get support from their guidance counselors. Lots of students need to work to support their families, and others want to work to maintain a sense of some financial independence. They should be supported and encouraged, and the School Board should maintain policies that allow students to know their rights as workers. Kids should be able to choose which gendered restrooms they use. Queer and trans kids who are exceptionally bullied should have a process to be able to use staff bathrooms or other neutral bathrooms. If other kids are having trouble understanding what’s going on, that’s our job as adults and educators to help them understand the diversity of the human population! Dress codes for school time and school-affiliated events should be as gender neutral as possible. Kids’ gender should not influence what they can and cannot wear. If leggings are “distracting” to boys, maybe boys need some positive, proactive intervention; I don’t think girls need to be punished. If girls are allowed wear skirts and paint their nails, so too should boys. All educators and staff should be trained on the basics of gender and sexual orientation, pronouns as a part of their ongoing training. Queer and trans staff and educators should feel safe being open and out if they want to be. When I was a queer kid at Casa Grande we couldn’t google words related to LGBTQ issues because of district-wide filters. Home isn’t always a safe place for queer and trans kids; we can ensure schools are. You can get in contact with me by emailing me at any time of day. You can also call me at (707) 962-8733 and leave a voicemail. I will get back to you as soon as I can. Check out the campaign Facebook page in the meantime!